Esports, and other games : Colin Webster's testimony before the Zulman Commission of Inquiry. Colin Webster's testimony before the Zulman Commission of Inquiry. Colin Webster at the Zulman Commission of Inquiry. 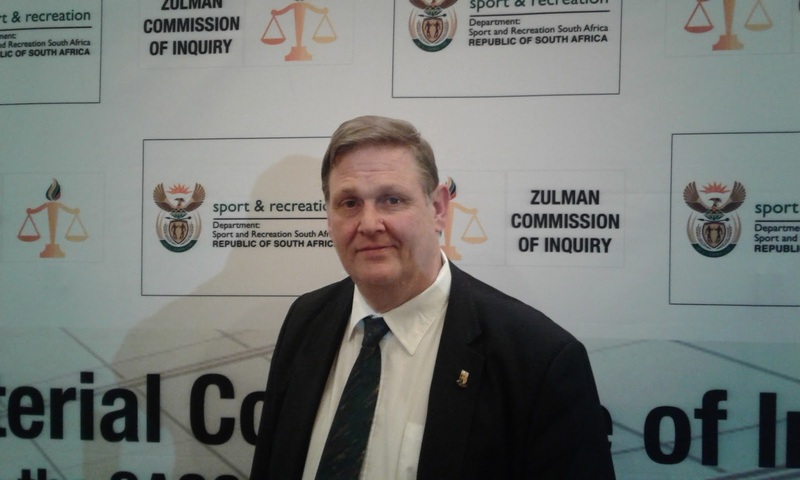 MSSA's General Secretary, Colin Webster, also appeared before the Zulman Commission of Inquiry which is investigating maladministration in SASCOC. Without doubt the most serious of all the allegations are those surrounding SASCOC as a Company and as a Voluntary Association. SASCOC was registered on 26 November 2004 as a Non Profit Company (a Section 21 company under the old Act) under company number 2004/033949/08. The company remains registered and in business to this day according to CIPC. The Companies Act was amended in 2008, coming into effect on 1 May 2011, however, certain clauses were not in full effect until 1 May 2013. However, SASCOC took a decision to create a voluntary association under the same name. It adopted a constitution in those terms on 26 September 2015. SASCOC purported to ‘convert’ itself from a company to a voluntary association via this process, which was obtained via resolution passed by the members of the company at a meeting of a company. It must be noted that there is no provision in the Companies Act 71 of 2008 for a company to ‘convert’ to any other legal entity. The Co-operative Act 14 of 2005 permits a company to convert to a Co-operative, but under that Act subject to stringent requirements. Accordingly, what SASCOC attempted to do in 2015 was not possible in law. All that was achieved was to create a second legal entity so that SASCOC is now a company and a voluntary association. SASCOC has publically (and according to all notifications to its members) ceased to carry on its operations under the banner of the company. Accordingly, SASCOC has ‘transferred’ staff, assets, bank accounts, contract, etc, from the company to the voluntary association without any legal grounds for doing so. The directors of SASCOC NPC (listed above) have effectively assets-stripped the company in favour of the voluntary association, despite their fiduciary duties to the company as directors. SASCOC, the NPC, is the legal entity recognised as by the Minister of Sport in terms of the National Sport and Recreation Act. The Minister has not terminated that recognition and recognised the voluntary association in its place. Accordingly, the voluntary association is acting illegally by purporting to act as the Sports Confederation in terms of the National Sport and Recreation Act. SASCOC NPC is also the body which was affiliated to the IOC and several other international bodies, although the voluntary association has taken over that affiliation without reapplying afresh. SASCOC NPC is further the body registered with SARS for tax. The voluntary association could not just take over that registration or exemption as a Public Benefit Organisation. In terms of the Companies Act, the company does not have special powers vis-à-vis its members (it is impossible to think of Anglo-American taking over one of its shareholders if it is unhappy with that shareholder). The rules of governance are geared towards the members holding the board of directors of the company accountable, and not the board of directors hold the company accountable. One third of the board of directors have to be replaced each year. SASCOC has never complied with this provision. Membership can only be voting or non-voting – it is not possible to have differently weighted votes. Ex officio membership is not permitted. So a board member cannot become a member by virtue alone of being a board member. This means that board members (unless they have other rights in their personal capacities) do not have the right to vote as such at SASCOC members’ meetings. SASCOC could provide for how membership could (or would) be lost. However, it would be in conflict with many provisions of the Companies Act for SASCOC to take over a member (or place it under administration, as SASCOC terms it). By purporting to ‘convert’ to a voluntary association SASCOC has attempted to avoid the governance provisions of the Companies Act and rather resort to the rather looser basis of a voluntary association (purportedly based in contract). The reasoning being that the members of SASCOC can agree to SASCOC interfering in their affairs by agreeing to it in a constitution. Accordingly, any member of the SASCOC voluntary association is subject to its constitution and to any action taken against then by SASCOC when it is acting as the voluntary association. However, members who did not agree to join the voluntary association are protected by the Companies Act, and all members who were interfered with prior to 2015 would have a claim against the directors and senior management of SASCOC for any harm caused. The directors of SASCOC NPC have been derelict in their duties by permitting the asset stripping of the company in favour of the voluntary association. Further, in so far as they violated the rights of any members in breach of the provisions of the Companies Act, they have been delinquent. The directors have also failed to hold meetings of the company since 2015, and have not continued to produce financial statements of the company or fulfil their other functions as directors. On these grounds they should be reported to the Companies Tribunal to take action against them in their personal capacities.